We at Rodale Inc. love trying new things—from new recipes and new running shoes to new organic cleansers. But what we really love is new ideas. Lately, we’ve been putting a lot of new ideas out into the world. Runner’s World just launched its new Runner’s World Go fitness and training app; Men’s Health teamed up with Chef’d to bring meals from our recipes to your kitchen; and of course, Organic Gardening was recently transformed into the new Rodale’s Organic Life magazine. 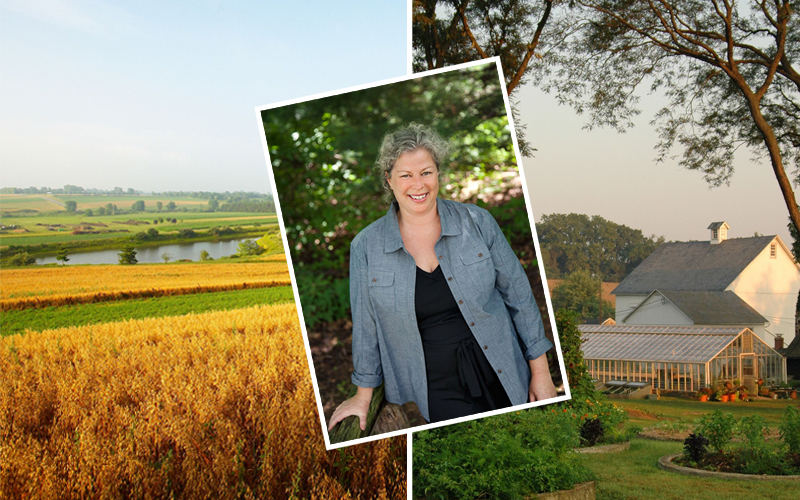 Inspired by all the newness, the Rodale’s team is kicking off its own new idea: the Rodale’s Ultimate Organic Experience—a unique VIP weekend offering exclusive access to the birthplace and history of organic agriculture in America. Have you ever wanted to visit the site where the organic movement in America was born and see organic research in action? Ever dreamed of meeting current organic movement leader, author, and CEO Maria Rodale, or an organic lifestyle luminary like Rodale’s Organic Life Editor-in-Chief Jim Oseland? Would you love to see visionaries presented with the Organic Pioneer Awards as a guest of Maria’s? This is your chance to experience an unforgettable weekend. We know that people want to feel connected and inspired. We all want exciting experiences—to create memories that will last a lifetime. So, for the next few weeks, in addition to beautiful and sustainable goods, we’ll also be offering this once-in-a-lifetime experiential weekend for yourself and friend. Start your weekend with a tour of the Rodale Institute, the 333-acre organic research farm located in Kutztown, Pennsylvania. An Institute staffer and Jim Oseland, Rodale’s Organic Life editor-in-chief, will guide you through the farm and show you the research methods that are being tested and the best organic practices studied there. Visit the apple orchards, the animals, and the greenhouses and learn about the Farming Systems Trial, the 34-year study of organic alongside conventional farming that has proved the beneficial yields, nutrients, and soil health that result from organic methods. Enjoy an organic picnic lunch with Jim after your tour. Then check in to the Rodale Farmhouse, located on the Working Tree Center organic farm in nearby Allentown, which organic movement founder J.I. Rodale and his family called home. J.I. launched Organic Farming and Gardening Magazine right here in 1942. You’ll have a private tour with the farm manager and learn about the roots of J.I.’s research on this 50-acre organic farm and the beneficial tree groves that his son Robert Rodale planted in the 1980s, which gave this farm its name. After getting settled in, Jim will share his culinary wisdom with a cooking lesson based on the seasonal bounty from the farm and other local organic ingredients and join you for dinner. An organic breakfast will be catered for you at the house on Saturday morning. Take a walk among the Wildlands Conservancy nature preserves, with a Rodale’s Organic Life staffer leading your way and sharing the rich history. The South Mountain Preserve is considered part of the 750-acre Robert Rodale Reserve, one of the most important natural areas in the Lehigh Valley, and boasts more than 340 acres of woodland trails, pronounced rocky outcroppings, and unique vistas in an otherwise urban landscape. At lunch, you’ll be joined by Maria Rodale. Enjoy the rest of your afternoon relaxing on the peaceful Working Tree Center farm or at the homestead before the evening’s excitement. Transportation will take you and your guest to the Rodale Institute for a VIP experience at the Organic Pioneer Awards. Sit with Maria and special guests at her table and delight in the fresh, organic family-style dinner sourced directly from the Rodale certified-organic farm while celebrating and honoring individuals who led the way in establishing or enhancing the organic movement. Enjoy a private yoga lesson in a serene setting inside or out in the sculpture garden. Then cap the weekend with the seasonal brunch at Bolete, Maria’s favorite local farm-to-table restaurant, before checking out. Find out more about the Rodale’s Ultimate Organic Experience here.